Vilceu Bordignon obtained his PhD in 1999 and postdoctoral training in 2002 in biomedical sciences at the University of Montreal, following his DVM and MSc in veterinary sciences in Brazil. 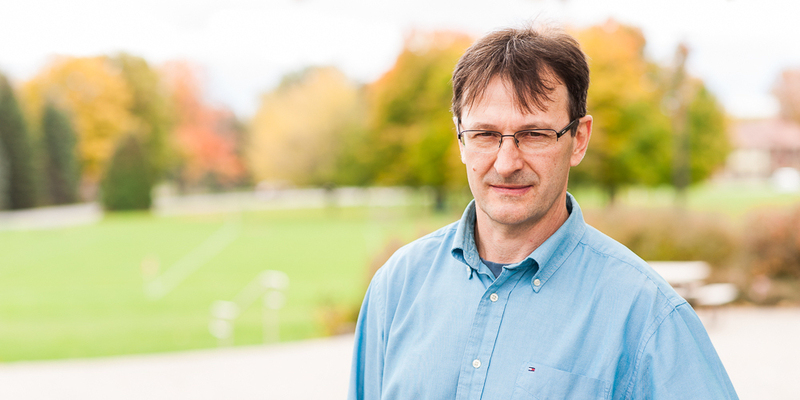 He joined McGill’s Department of Animal Science in July 2002. His is the Director of the McGill Large Animal Research Unit. His lab produced the first cloned and transgenic pigs in Canada by somatic cell nuclear transfer. His current research program in reproductive biology and animal biotechnology is: i) investigating how early stage embryos deal with stressful conditions by regulating coping mechanisms that allow them to survive without passing on altered or damaged genomes that threaten development and later life; ii) studying how cell reprogramming is regulated in embryos produced by somatic cell nuclear transfer; and iii) using genome editing tools (CRISPR/Cas system) along with in vitro embryo technologies and somatic cell nuclear transfer to create gene edited embryos and live pigs to study development, metabolism and pathophysiology mechanisms. DNA damage and endoplasmic reticulum stress during early embryo development. Acquisition of developmental competence in oocyte and embryos. Cell reprogramming and embryos produced by somatic cell nuclear transfer. Animal Science: An introduction to the pathogenesis and control of diseases in farm animals. Immune response and other protective mechanisms. Implications of animal diseases and drug therapy for product safety and public health. Animal Science: An introduction to key concepts in reproductive biology and principles of emerging reproductive technologies. Modules covered include oogenesis and folliculogenesis, fertilization, embryo development, reproductive biotechnology and new directions in reproductive biology. No prerequisites, but students need to have a solid background in reproductive physiology. Note: Course offered in alternate years. Students must register for both ANSC 611D1 and ANSC 611D2. No credit will be given for this course unless both ANSC 611D1 and ANSC 611D2 are successfully completed in consecutive terms.